I’m going to take a few weeks off…not from blogging silly, but a few weeks on the road in the RV with Gigi and the pups and the grill. Meanwhile back at the ranch we have our trusted house/horse/chicken sitter looking after things. I’ll most likely make a few runs back home during this period but may not….depends on work and the market. 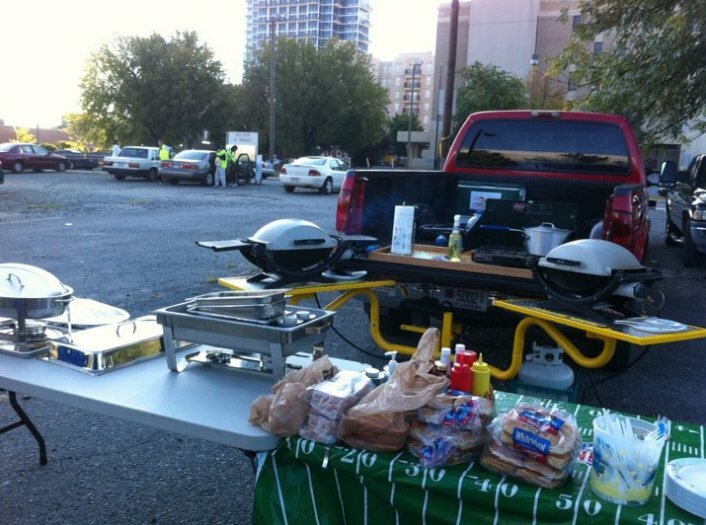 This afternoon we get to see our local NFL team play the Giants and better yet we get to tailgate once again. They’ll be laughter, smoke, food, beer, laughter, smoke, food, beer and just plain good times. I am preparing grilled Buffalo wings and barbequed chicken thighs. Both cook slow and bathe in hickory smoke. The wings have a sweet butter sauce for the girly men and I have plenty of hot sauce on standby to step it up a notch or two. The guys are bringing sides and it should be a fantastic meal. Additionally I’m taking the 2000 watt Honda generator so we can have some fans blowing. It is going to be humid and hot. That fellah put on his thinking cap, alright. Good production on the video as well. So much easier to make a paddle. Looks like a paddle might be faster too! ...and I love your hero guy too!